Our "online play," The Thread, was an event that actually happened in real life ... a situation involving a customer, a box of live rock, and a marine aquarist forum. Join us as we explore what happens when Damselblue receives her live rock. The story begins when Damselblue turns to a marine hobbyist message board to seek advice ... although the tale ends up with a few other surprising twists and turns! What happens during the course of The Thread discussion is unpredictable, interesting, educational, and even a bit enlightening! The "member names" of the participants have been altered somewhat for the sake of anonymity, with the exception of "Birdfish" and "Mrs. Birdfish." The specific order of the comments has had some minor alterations in order to cluster some scattered responses and thoughts together so the story can be read more clearly and with enhanced understanding, as the original thread became redundant and confusing at times, making it difficult to read. However, changes to the original text has only been minimally altered, with the rare exception of some comments that were deemed inappropriate. We would like to thank all of the posters (message board members) for their participation in the actual event (thread discussion), which has made this "performance" possible. There are a few helpful characters (guides) that will assist you, the reader, by adding helpful comments that you may appreciate ... often giving additional knowledge of the circumstance at hand ... ... such as this little fellow who will help guide you through "The Thread." We are currently working on the audio enhancement of the pages of our "play," in order to make it so if your computer's speakers are plugged in and your sound is "ON" you will get the full effect (as long as your computer's browser has the appropriate audio plug-in installed for the audio player) ... thanks for your patience! The code for playing the music has changed with new browsers, so we will need to update this feature. You may see an audio player trying to open ... if it doesn't work, just ignore it and enjoy reading. By NO means is "The Thread" intended to offend anyone ... including that of the participants or characters. It is, however, an observation of a customer relations situation ... one in which the customer seemed to doubt that the company would be willing to assist them with a remedy, so decided on a drastic approach to the situation by attempting to utilize an online forum in an unorthodox fashion ... pressing the company for help on a public forum. Of course, this type of action is not the most productive approach, as seeking solutions together as a joint effort is a much more beneficial way to solve a problem to produce positive results. We know that the message boards aren't something everyone may visit, so we must explain that this is a rare example of what can happen if a negative discussion is permitted to get out of hand. 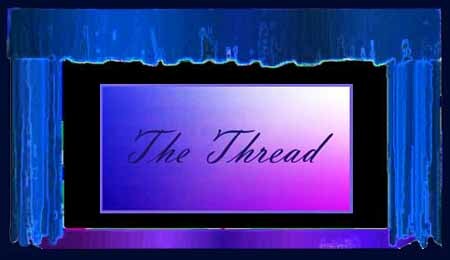 We hope you will enjoy "The Thread" ... you may wish to stop at intervals along the way and return to continue, as it has an extended reading time (depending on your pace) ... but don't read it TOO fast ... we wouldn't want you to miss anything! For return visitors ... you may use the links below to continue where you left off.